Nigeria’s Senate President, Bukola Saraki, has approved the appointment of Abubakar Danladi as his Special Adviser on Special Duties. The appointment was announced through a statement by the Special Adviser, Media and Publicity to the Senate President, Yusuph Olaniyonu, on Sunday. The appointment takes immediate effect, the statement noted. 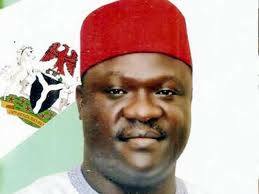 Mr Danladi was in 2017 sacked by the Supreme Court as senator representing Taraba North. In a unanimous judgement, the court nullified Mr. Danladi’s election and declared his challenger, Shuaibu Lau, the winner of the 2014 primary election of the Peoples Democratic Party in the Taraba North Senatorial District. The court also asked Mr Danladi to return all the salaries and allowances he received as senator. There is no evidence he ever did that. The 53-year-old also served as deputy governor before his election into the Senate in 2015.